Burn belly fat…it sounds simple doesn’t it? We all know that we need to make the right food choices, eat less and exercise more! If it were that simple we’d all be skinny. You may need this fat burning product. Since 30% of the population is overweight I would say something’s not working for most people. If you have belly fat it's a sign that you likely have insulin resistance which means it is harder to get rid of it. More safe and aggressive intervention may be necessary but ONLY if you have the right mind set. By that I mean it's essential to commit to a different way of eating and regular exercise and if you can do that, then by all means use this tool. This is a new, safe, plant product that has come on the market that stops fat storage and makes it possible for you to not only burn belly fat but ALL your body fat. To me the risk here is that some people may see this product as a reason not to make the lifestyle changes. If that would likely be your tendency don't go any further. One bottle is a one month's supply. Take 1 capsule twice daily 30 minutes before your two heaviest meals. For best results take it for at least 3 - 4 months. There are NO stimulants in this product, only 800 mg. of 2 plant extracts (S. indicus and mangosteen) that were researched carefully and selected for their fat burning properties. The company stands by it's products. There is a 100% guarantee with this product. If you do not get results in 90 days you can get a full refund. Call me toll free at 855-485-5373. 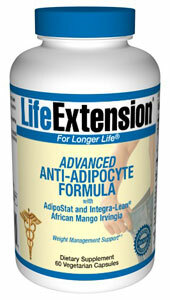 This product was designed to target the factors involved in age-related weight gain that leads to belly fat. Scientists at Life Extension Foundation, a non-profit institute which funds and supports scientific research into plants that support good health and anti-aging, are working diligently on breakthroughs for obesity. They identified 2 species of plants that could reduce the numbers of normal fat cells becoming the bloated, dysfunctional fat cells and improving the breakdown of stored fat. They were looking for plants that could help the body burn belly fat because this is the fat that indicates more serious health problems. Are these plants safe? They have long been used with great success in Ayurvedic medicine for weight loss and for anti-diabetic effect. S. Indicus has been used for hundreds of years to combat diabetic symptoms, protect the liver, prevent inflammation, boost mood and aid in digestion. It has been used to increase insulin sensitivity which is, as I have said before, the key to controlling your blood sugar. The mangosteen is an edible fuit that has also been used to combat diabetes and obesity. It limits inflammation that contributes to insulin resistance and it can block blood glucose levels. These plants are not only safe, they are significantly health inducing. This was a controlled human study using 60 adults in 8 weeks. There were 2 groups, 30 people taking the Advanced Anti-Adipocyte Formula and 30 people taking a placebo. The group taking the anti-fat formula lost 4.05 inches of abdominal fat and lost 11.4 lbs. This group showed significant reduction in the waist to hip ratio almost 4 times greater than the placebo group. This impressed the researchers because it means that the more dangerous visceral belly fat was lost. Apparently, they began losing weight in only 2 weeks. The thirty adults in the control group consumed the plant extracts at 800 mg. per day while the placebo group got none. Both groups followed a 2000 calorie diet and walked 30 minutes 5 days a week. There were dramatic differences between the 2 groups. Reduction in BMI was 2.05 which was a decrease of 3.9 times greater than the placebo. In only 2 weeks, the average weight reduction was 4.6 lbs. Another very significant finding in the study was a 60% drop in triglyceride levels! No adverse events or side effects were reported. Mind you, this is the type of randomized, double-blind, placebo controlled study, the kind the FDA mandates before it approves new drugs. I like what these plants do because there are health benefits that go beyond burning fat to increasing insulin sensitivity, reducing inflammation (that could be present in visceral fat) and controlling blood sugar. So many FDA approved weight loss drugs are withdrawn because of dangerous side effects. These plant species have been consumed by human beings for thousands of years. The other great benefit of these 2 plant extracts is they showed reductions in triglyceride and glucose blood levels. That means that they not only burn belly fat but they are also correcting the underlying metabolic imbalances that can predispose aging people to gain weight. While it is true the participants in the study also walked and ate a reasonably low calorie diet, it was not necessarily low glycemic, so imagine what better results you could get! But consumer be aware and only try this fat blocker if you are absolutely committed to the rest of the low glycemic plan as well. You will need ALL the support you can get. Visceral fat is the stubborn belly fat which appears around the time of menopause for women and middle age for men. It is an indication of more serious health complications caused by many years of unsuccessful dieting and age related factors. The truth is fat cells don’t go away, they shrink when you’re dieting and expand when you go back to eating wrong foods. If you are really heavy, that fat is deep inside - it's called visceral fat and it’s really hard to get rid of it. Fat cells become bloated from excess calories. The fat cells become dysfunctional. Actually, dysfunctional fat cells can lose the capacity for being burned for energy. Belly fat, which is a sign of dysfunctional fat cells, is also a symptom of worse impairments. If you have insulin resistance chances are your high insulin is telling the body to store it in this area. Belly fat, in fact, is a clue that you may have insulin resistance already. Scientists don’t know why exactly but it is a sign that insulin resistance may be present. This product was developed to solve this problem of the age-related changes that lead to visceral fat. It is not easy to burn belly fat but this product was designed to do just that. Visceral fat is the fat that doctors are most concerned about. It is made up of dysfunctional fat cells and it is chemically toxic. It is the excess visceral fat that is associated with systemic inflammation in obese people. It is not clear to scientists yet whether the visceral fat causes the inflammation or is just associated with it. The bottom line is there are harmful effects and visceral fat can lead to metabolic syndrome and other serious health problems. If you can burn belly fat effectively you will get rid of this toxic fat. Everyone is looking for a fast way to lose weight but the truth is going slowly means the fat loss is more likely to be permanent. Losing one to two pounds a week is a more realistic expectation. 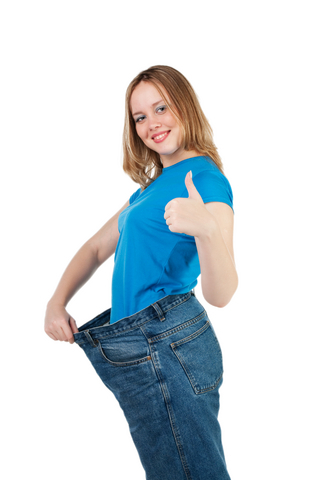 In fact it is far more important to notice if you are losing inches and never mind the scale weight. Nutritional support to aid this process with this natural fat blocker to burn belly fat could be just the extra support you need. If it supports you to burn belly fat while you are staying on your Lifetime Fat Loss Low Glycemic Plan then that's a good thing. This information is not intended to replace the attention or advice of a physician or other health care professional. Anyone who wishes to embark on any dietary, drug, exercise, or other lifestyle change intended to prevent or treat a specific disease or condition should first consult with and seek clearance from a qualified health care professional. For more information on how to shape up and lose more fat keep reading below! It's possible to lose fat without losing muscle and I have found something to help you do just that. Your adipocyte (fat) cells never go away. Learn about the belly fat diet and how to eat to get rid of belly fat. Return from Burn Belly Fat to Calculate BMI. Return from Burn Belly Fat to Lifetime Fat Loss home page.